FOR IMMEDIATE RELEASE – Renton, Washington – November 13, 2018 – Jet City Harley-Davidson, formerly known as Lawless Harley-Davidson Renton, has been acquired by Michael Veracka. Michael, along with his brother, Paul Veracka, and father, David Veracka, have been in the Harley-Davidson business since 2003, owning and operating twelve of the largest dealerships in the country. The Verackas are excited to continue the Lawless H-D legacy of delivering a world class Harley-Davidson experience! 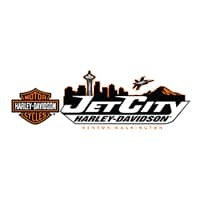 Jet City Harley-Davidson will become the newest member to The Motorcycle Company’s family of dealerships coast-to-coast; Massachusetts to California, Kansas, Colorado, Florida, Michigan and now Washington. “We’re excited to add Jet City Harley-Davidson, expanding our national footprint of dealerships into Washington, growing ridership nationwide to all four corners of the United States. The team at Lawless H-D has done a great job over the past several years building both a community of Harley riders in the Seattle metro area, as well as a great business that we will continue to develop for many years to come. Our company was founded by riders, built for riders, and we are dedicated to passing that passion along to others from coast to coast. Our family is 100% committed to the Harley-Davidson brand and the sport of of motorcycling.” says owner, Michael Veracka. Jet City Harley-Davidson is home to one of Seattle’s largest riding communities. We will have over 100 events this year including bike nights, group rides, open house parties and charity events. Our inventory of over 400 new & used Harley-Davidson motorcycles, along with an expanded selection of parts, accessories and clothing will cement us as the destination Harley-Davidson motorcycle dealership in Seattle and all of Washington. The trucks have already started shipping in 100s of motorcycles from our stores across the country to immediately increase the selection for our local customers when we open the doors as Jet City Harley-Davidson” proclaimed Veracka. “Our company allows us to take existing stores that do an exceptional job and build them into world class facilities, while often doubling or tripling the staff with top industry professionals. 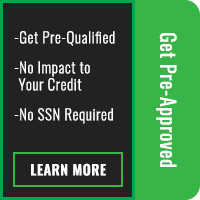 Providing additional training for the staff combined with increased marketing, events and inventory, has proven successful across the United States. We continue introducing thousands of new Harley-Davidson riders each year to the sport. This new acquisition in Washington is a testament of The Motorcycle Company’s commitment to the continued success of Harley-Davidson for years to come. Collectively, The Motorcycle Company will sell over 10,000 Harley-Davidson motorcycles in 2019, continuing to strengthen its position as the largest Harley-Davidson group in the world. As the greater Seattle metro continues to grow, Jet City Harley-Davidson plans to continue building the Harley-Davidson community one premium customer experience at a time! The Veracka family’s group of Harley-Davidson stores, known as The Motorcycle Company, consists of Rawhide Harley-Davidson, Olathe, Kansas, High Octane Harley-Davidson, Billerica, Massachusetts, Avalanche Harley-Davidson, Golden, Colorado, Riverside Harley-Davidson, Riverside, California, Huntington Beach Harley-Davidson, Westminster, California, Palm Beach Harley-Davidson, West Palm Beach, Florida, Six Bends Harley-Davidson, Fort Myers, Florida, Motown Harley-Davidson, Taylor, Michigan and is pleased to add Jet City Harley-Davidson, Renton, Washington to the family. Visit www.jetcityharley.com or www.themotorcyclecompany.com for more details.